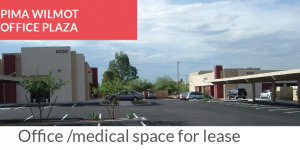 Space available: 1,000 – 10,651 sq. ft. The second floor is accessible by an external elevator and two separate stairwells. The available square footage on the first and second floors can be combined by an internal staircase, creating a leasable area of ±10,651 sf. Houghton Crossings Professional Plaza is located southeast at the intersection of Houghton Rd. and East Valencia Rd. 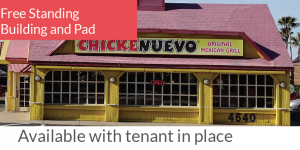 • Excellent opportunity for office, medical or retail users with high visibility and access in the Southeast, Rita Ranch and Vail area. 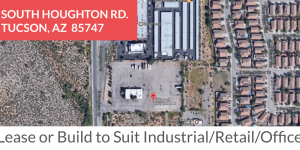 • Only commercially C-1 zoned parcel at this intersection; other 3 corners are State Land. 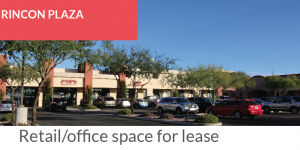 • High profile employers in the area include Raytheon, IBM, Target, Canon USA, Citigroup, Walmart, Fry’s, The Veteran’s Association (VA) and Davis Monthan Air Force Base. 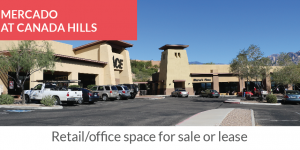 • Located within Vail School District, one of the highest performance school districts in Arizona.